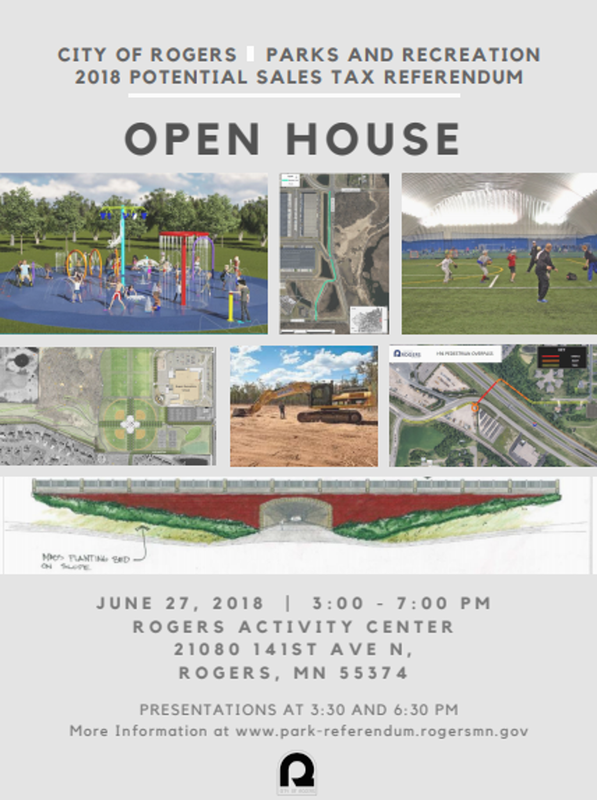 The City of Rogers will be holding a public informational meeting/open house to present details of a potential sales tax referendum for the purposes of park, trail and recreational facility funding. The event will be held from 3:00 p.m. until 7:00 p.m. with short presentations provided at 3:30 p.m. and 6:30 p.m. In addition to providing information to the public, the City wishes to solicit feedback from residents and business owners regarding this potential ballot question and funding mechanism. Light refreshments to be provided.